Great news! We are accepting new clients in Guildford area. We have capacity for daily visits or Live in this new year. Our team of dedicated and professional carers are on hand to deliver good quality care delivered with empathy. 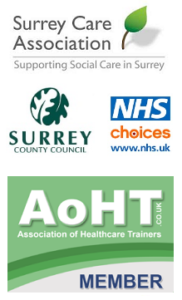 Looking for a care agency that delivers quality care in Guildford, Surrey area, give us a call on 01483302651. Our initial assessement is delivered free of charge. You can be rest assured that care package will be tailored to your individual needs. We are also good at signposting you to relevant agencies if need be.